In my classroom, students are able to come up with projects that they would like to do. They may also choose the topic. The topic may be about something we are learning or about something they want to research further. 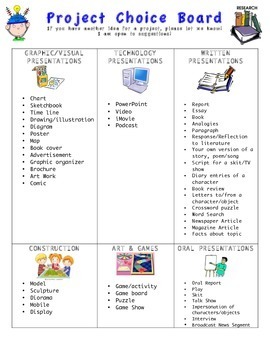 This resource gives students a variety of project ideas that they could do.